Artpool – Magyar Műhely Kiadó, Budapest, 2010, 198 p.
Charles Tamkó Sirató – an unfairly forgotten figure of Hungarian intellectual, art and literary history – systematised the Avant-garde arts in a unique fashion, applying it to his own poetry (Planism) and the history and the future of literature and the arts. He formulated his system based on modern physics and philosophy in the 1930s in Paris, where his original, experimental types of poetry, namely "numerokinetic constructions", electric poems and "Planar poems" [Poèmes planistes], were all regarded as a novelty and where he was a renowned member of international art circles. He discovered that even though the static forms of art were increasingly breaking up in the turbulent and seemingly chaotic art scene of his time, there was a common law in the changes which could always be described as an extension into a new dimension. To express this, he used the formula N+1. That is, when the arts lacked unity, a system or some arrangement into an organic process, Charles Tamkó Sirató summed up the essence of his theory in The Dimensionist Manifesto and set about applying his approach to the historical development of the arts, based on the essence of Dimensionism: it is deductive with respect to the past, inductive with respect to the future and alive in the present. 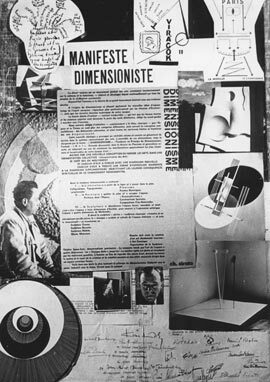 His manifesto, published in 1936, was endorsed and signed by the most prominent artists of the time: Arp, Calder, Delaunay, Duchamp, Kandinski, Moholy-Nagy, Picabia, and others. 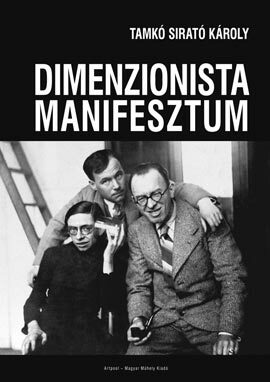 Tamkó Sirató’s theory about the history and future development of the arts was the first attempt at systematising the mass of changes that we now call Modern and Avant-garde art: it provides a lucid, natural and concise framework for the entire “sequence of ism-revolutions”. This book should have been included in the educational curriculum long ago. in: Documenti, Storia e Teorie delle Arti, no. 1, (2004-2005) "Scienza e arte: Il contributo dell’Europa orientale alle avanguardie artistiche della metà del novecento." a cura di Marco Pogacnik e Luka Skansi, Scuola di Studi Avanzati di Venezia (online publication).